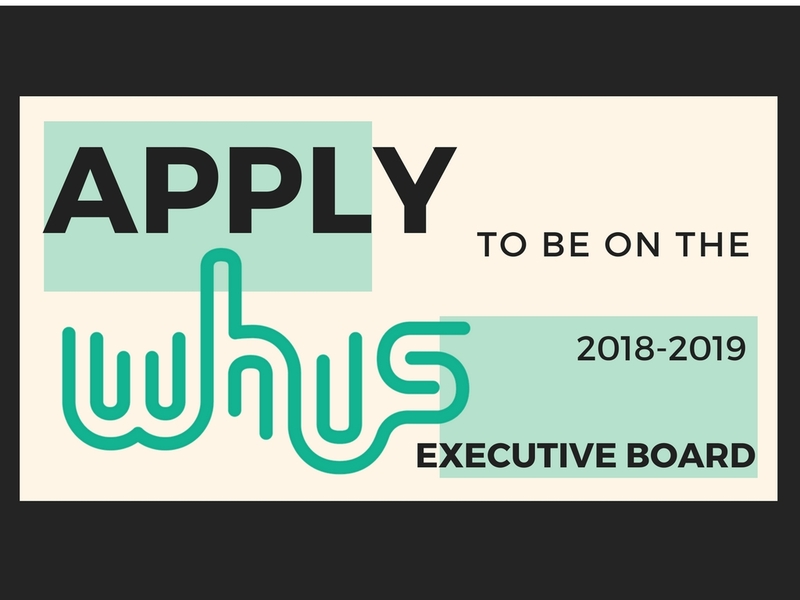 Please use this form to apply to be on the WHUS Radio 2018-2019 Executive Board. To be able to serve as a leader of WHUS Radio, you have to meet basic eligibility requirements outlined by TRIAD, the leadership program for all Tier III student organizations at UConn. To ensure you are eligible, please review the TRIAD Eligibility Policy. The one year term begins May 1, 2018, compensated up to 12 hours per week, at a rate of 12 dollars per hour. To garner the specifications for all positions, please click here. Any questions should be sent to Kailey at generalmanager@whus.org. Application deadline is February 21, 2018.